Crafters Companion > Blog > Blog hop – the winner! Congratulations to Diana Day from Norwich, who successfully hopped around the blogs to find the phrase ‘HUGS FOR YOU’. 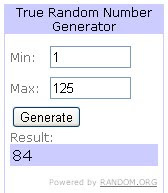 She was number 84 in the list, and was chosen by Random.org – the online random number generator! Diana has won the brand new SWALK and Humphrey stamp ranges plus a pack of Neenah card! As you can see, we had a phenomenal number of entries into the blog hop, both on the blog itself and through email and over the phone. Congrtulations to everyone who took part and we hope you have enjoyed seeing the inspirational designs our talented Design Team have created!